Virgil I. Grissom High School in southeast Huntsville has a long tradition of excellence in boys basketball, beginning shortly after the school opened in its original location on Bailey Cove Road in 1969. The GHS record book shows a head coach (Ronnie Stapler) who won two state championships (in 1988 and 1999) and 504 games in his 28 years at Grissom between 1974 and 2002. It also shows a consensus high school All-American player (Marvin Stone), a record of 7-3 in 10 appearances at the state high school tournament, and a steady stream of All-State players who wore the orange and brown colors, including the likes of Kurt Senn, Brent Clark, Greg Stolt, Chris Shaver, Chris White and Scott Stapler. What the record book doesn’t make clear is the identity of Grissom’s first big-time basketball player. That would be Dan Bell – the same Dan Bell on stage tonight at the Von Braun Center as one the inductees in this year’s class of the Huntsville-Madison County Athletic Hall of Fame. Bell credits his family for much of his early success. “They were all very supportive of my athletiic career – my dad, mom, and sisters Pam and BJ," said Bell. “Dad coached me in all my pee-wee sports. My family was all-in for all my endeavors." So were George Newby and Ronnie Stapler, his two basketball coaches at Grissom. “They were both big factors," Bell said. “Coach Newby was my first varsity coach. He had a very unique approach to the game and went out of his way to connect and give me the special encouragement that I needed when I was young. Ronnie Stapler was hired as I was into my high school years. His personal attention, advice, experiencee and guidance helped me develop my game and helped open doors for the future." Bell was part of a core group of Grissom freshmen who joined the basketball program when the school opened in the 1969-70 school year. Because it was the first year, the basketball team played only practice games, so officially the record was 0-0. The young Tigers made up for lost time in Years 2, 3, and 4. With George Newby providing the guidance and Bell leading the players, Grissom finished 19-8, 20-7 and 19-7 those three seasons and won the city championship all three years. For his part, Bell was named to the All-City team as a sophomore in the 1971-72 season. As a senior, he was All-City, All-State, Most Valuable Player in the city tournament, and was named the city of Huntsville’s Most Valuable Athlete at the end of the year. “I remember playing all sports and doing very well in high school," said Bell. “I was a ‘studly’ 5-foot-4 and 125 pounds in the 9th grade. I loved football but had a string of concussions in junior high, so football was in my rearview mirror after that. Grissom had just opened the school as 9th and 10th grade and would add a year each year. I had a very good basketball year and I was out on the baseball field, and suddenly I had this real conviction that I needed to get back to the gym and get to work at this game that I realized how much I loved. It was at that point that it became a love, a passion, and an obsession. I was very isolated in my upbringing and basketball became the way to create a niche for myself. There was not any extra instruction, no AAU, no camps because they were illegal in Alabama at the time. So it was up me to get curious and see what I could pick up." In his quest to see what he could pick up, Bell went to the state All-Star game in Tuscaloosa. While there, he met C. M. Newton, Alabama’s head basketball coach. Newton let the eager kid from Grissom into the basketball office and offered to “show you some film you might like to see." Newton was right. Bell watched the film, enthralled by what he saw. “He had a film of some guy named Pete Maravich doing some crazy ball handling drills at a camp,” said Bell. “When the film was made, Pete was still in high school and nobody really knew who he was. Those drills caught my attention. I watched the film over and over until I had them all memorized in detail. I came back to Huntsville and went to work. “Back home, I started a crazy work out program that I created for myself. From that point on, I got in the gym and worked 2-7 hours a day. It brought together all my worlds. At that point my spiritual beliefs, my game, basketball, how I interacted with people, all were on the same page. It became the driving force that created so many experiences that I could’ve never had without basketball. I traveled the U.S., Canada, and a good part of Europe, running around in shorts and a tank top and throwing a round ball through a hoop." After high school, Bell attended Walker Junior College in Jasper, Ala., where he became a two-time All-Conference player and a JUCO All-Stater at point guard. He then transferred to Northwestern State University in Natchitoches, La., scored an average of 14 points per game and helped lead the Demons to back-to-back winning seasons. He was the assist leader and the second-leading scorer both years. (Nearly 40 years later, in 2013, Northwestern State honored Bell as part of its Modern Era “Fab 50” for his contributions as a player and later as the NSU head coach from 1988-94. In his first year as coach, the Demons shocked the college basketball world by toppling Kentucky at Rupp Arena in Lexington on Dec. 7, 1989.) After college, Bell played for Athletes in Action, based in Vancouver, B.C., from 1978-81. He started on the AIA team two years, playing all across the U.S., Canada and Europe. His coaching career began with a two-year stay as assistant coach at Nicholls State in Thibodaux, La. After year as head coach back at Walker college, he was assistant coach at Marshall University (1983-87) and assistant coach at East Carolina for a year before returning to Natchitoches as head coach of his alma mater, a place where it’s historically tough to win. After staying six years, he was named head coach at Bob Jones High School in Madison, where he won 160 games in 10 years. He was an assistant at Hazel Green for two years and later at tiny Belgreen in Russellville. 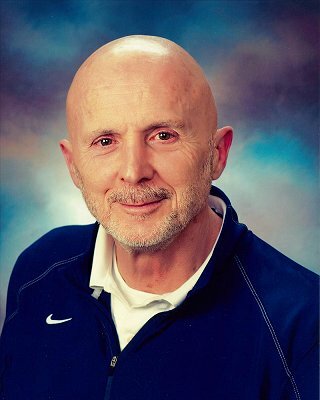 He was head coach for the girls team at Ider High School for a year and head boys coach at Oneonta from 2013-17, and is now teaching and coaching at Whitesburg Middle School in Huntsville.